Explains how to cut glass and fit up a picture frame. Different methods of fixing pictures into frames are covered. The way to tie the wire and hang picture frames is covered in detail. 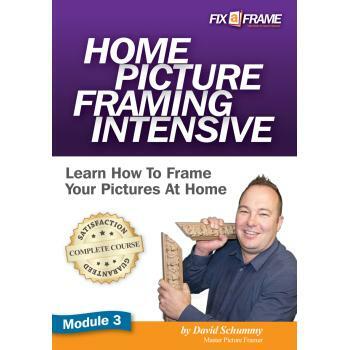 Part 3 of Home Picture Framing Intensive. 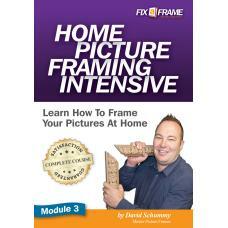 This is the Third PDF Work Book that accompanies the DVD training. Mat Cutting E Book Explains how to choose mat board colors. How to square up and calculate size..